Wirecast error message: "cannot publish stream"
“Cannot publish the stream. Verify the stream name and if you have provided any credentials/tokens”? If you’ve received this message, you probably have not entered the login and password inside Wirecast. Another possibility is that you entered these credentials incorrectly. 3. Click the “SET CREDENTIALS…” button. You can manually type the login numbers into the textbox, in case you encountered a copy-paste issue. 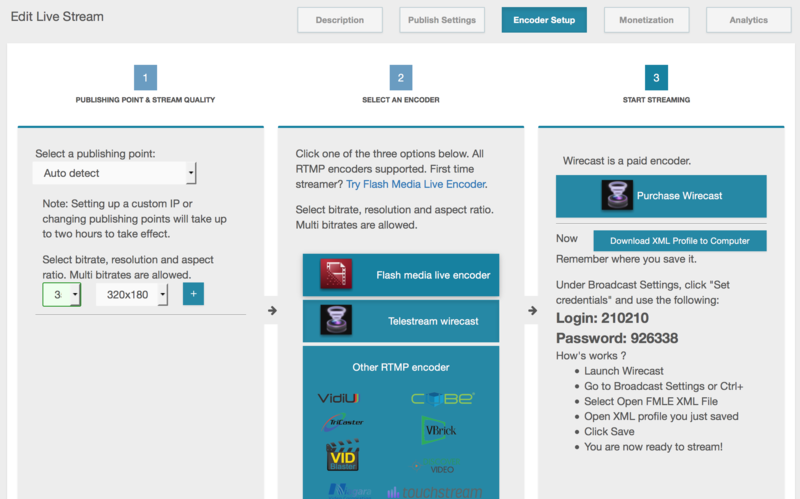 Please note: if you were seeking a full Wirecast tutorial, you can find that here.